That’s the question we posed to the Fine Wine Divas for our August tasting night. Most of the ladies are big red wine drinkers. As it’s summer, we thought we’d introduce them to a nice line up whites so they could certainly find something they like. There was indeed something for everyone. And the top two wines of the evening? My thoughts: This was the hit of the night…a lovely fuller bodied Italian, great pairing with food and great price point! My thoughts: Interesting blend of grapes from The Cape winelands which are located in the Cape Floral Kingdom, one of six such plant kingdoms in the world. It was a great evening and everyone walked away with a new wine to enjoy in these final weeks of summer! At our last Fine Wine Divas event, we explored the world of South African wines with Cape Classics, the premier South African wine importer in the U.S.
My thoughts: The perfect summer wine, I liked what South Africa is doing with their Sauvignon Blanc. My thoughts: An approachable and great everyday red wine! Would go with a variety of meals. My thoughts: A beautiful special occasion red. To learn more about the history of South African wine, check out The Wines of South Africa website. Amongst other resources, this website provides information on how the wine industry has changed in the 20 years since South Africa became a democracy, and the trends and events that are moving them forward. 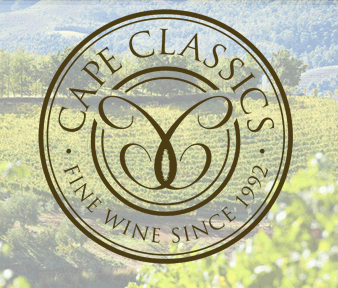 For more information on Cape Classics, please visit their website. 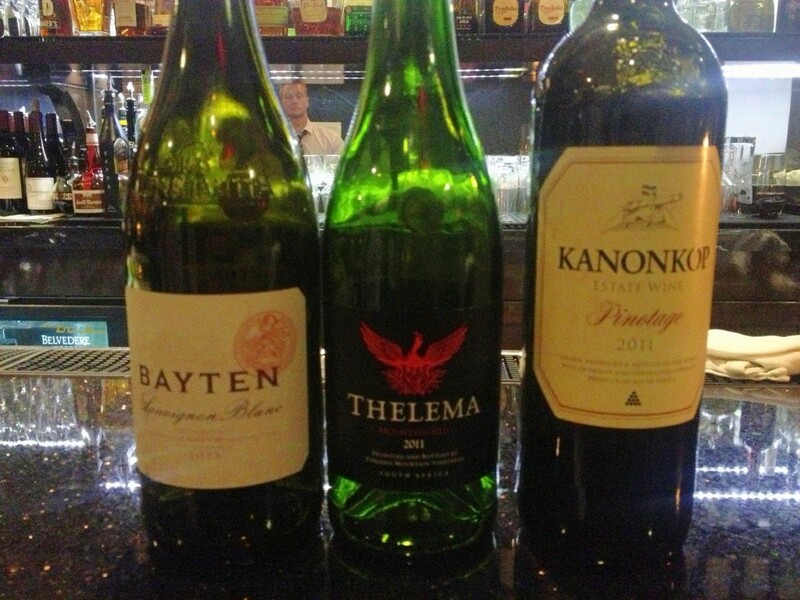 Cheers to the world of South African wines! Look forward to visiting! Cabernet Sauvignon, one of the BIG six grape varieties, is often referred to as the King of Red. At a January event of the Fine Wine Divas, as we tasted through eight fabulous Cabernet Sauvignon wines from around the world, I was reminded of what makes this grape fabulous! Cabernet, as it can simply be referred to, is originally from Bordeaux, where the cross of it’s parents, Cabernet Franc and Sauvignon Blanc, arose in the 17th century. It’s genetic parents were only recently discovered. And while many now associate California and Napa with Cabernet Sauvignon, Bordeaux still grows more of the grape than any other region in the world. What makes Cabernet the King? Cabernet can and does grow almost anywhere. Every country that makes wines, produces a Cabernet Sauvignon. It’s easy to grow and can do so in a range of climates, although it prefers heat and dryer soils. It’s a VERY hardy grape. With thick skins, it’s hard to distort the characteristics. It maintains its flavor and structure very well. Its thick skins also make it resistant to disease. It’s the second most planted grape in the world (Merlot is first). It’s an ideal wine for aging and loves oak aging. With five to ten years being optimal, it’s tannins are soften and new flavor and aroma complexities develop. It’s also great for blending due to it’s big tannins. Cabernet Sauvignons makes a big wine that becomes silky and elegant with age. They are usually medium to full-bodied with firm tannins and bright acidity. It’s characterized by fruit notes of blackcurrant, cassis, blackberry and non-fruit notes of green bell pepper, cedar and tobacco. Friday night we tasted around the world, New World (South Africa, Chile, US) and Old World (France). And while all the wines are truly fabulous, a few stood out as my favorites. Taste: Medium-bodied, smoky plum and dried cranberry notes with hints of cocoa. My thoughts: Overall Washington state Cabernets are meant to be approachable at a young age. And it’s said they seem to capture the best of France and California in a single wine. This is a fabulous example! My thoughts: Yum is this a good wine…like chocolate covered cherries! And such a gorgeous bottle! St. Helena is a very historic wine growing region with cultivation dating back to mid-1800s. This vineyard is farmed with strict adherence to organic and biodynamic farming standards. 100% of the proceeds from sales of the wines is returned to the Leducq Foundation, supporting international cardiovascular research. Tastes good and does good! My thoughts: This velvety wine was Rated 91 by Wine Spectator. Silver Oak has been making stunning wines since the early 1970s and this one is divine! For the group of fifteen Fine Wine Divas, in addition to the Ehlers and Silver Oak, the favorites were 2005 Château Léoville Poyferré St. Julien and 2008 Buty “BEAST” Phinny Hill Vineyard Cabernet Sauvignon. We had a mix of Old World and New World lovers. Have a favorite Cabernet? Share it with us here. And if you’re interested in our Fine Wine Divas group in DC, let us know. Cheers to the King of Reds! What a brilliant event going on at my local Whole Foods in Alexandria, Virginia every Wednesday! Since the first of the year, they’ve been hosting this 5-7pm event featuring wines from different regions and excellent food pairings. For only $5 you get a Whole Foods wine glass, five healthy pours of the five featured wines and five sample plates of their five-course menu. If you bring your glass back each week you get $1 off. They also provide you with a little handout of all the recipes. Last night was my first Winesdays and they were featuring South Africa. Boy, was it packed! As you browse through the store, the five stations are scattered throughout creating a party atmosphere that encourages mingling. And boy was it packed…lines were ten to fifteen people deep. They’ve created quite the event! This and the last course were my favorites of both wine and food. Chenin Blanc is a really nice medium bodied crisp wine, honeysuckle and lime aromas and taste. Chardonnay is a medium bodied wine with a hint of oak on the nose, light buttery mouth feel with citrus and spice. The spice in the chicken cut the slight oak in the wine and brought out vanilla and more citrus. Pinotage is medium bodied with plum and subtle oak pairing nicely with the stew’s spices. This blend of Cabernet Sauvignon, Shiraz and Pinotage is a full bodied wine of dark berry flavor and a touch of spice. The juicy berry of this wine truly tastes like jam. It was a perfect pairing in the glass AND as the topping poured over the pound cake…yum! According to the Whole Foods team, attendance is growing each week. I’m looking forward to my next one and taking a few friends along. Bored Doe & Goats Do Roam? Bored with your usual French Bordeaux or CÃ´tes du RhÃ´ne wines? Mix it up with these fun light-hearted South African wines. I picked up a bottle of Bored Doe recently as the name gave me a giggle and reminded me of my April trip to Bordeaux, France. Bored Doe and Goats Do Roam are produced by the Goats Do Roam Wine Company, part of the Fairview Winery, a 3rd generation family owned wine and cheese farm, in the Paarl wine district of South Africa about 45 minutes from Cape Town.Â The Goats Do Roam wine, a CÃ´tes du RhÃ´ne-style bend, was created in 1999 as another label of Fairview. Goats do Roam wines hit the U.S. in 2000 amidst protest from the French government regarding the registering of the trade names in the U.S.Â After initially threatening to block distribution, the French withdrew their protest because of the media coverage it was generating. It all worked outâ€¦ Goats do Roam wines are the highest selling South African wines in the U.S. There are currently 12 wines in the line up including red, white and rose. Bored Doe Vintage 2008 is a combination of 4 wines, Cabernet Sauvignon, Merlot, Petit Verdot, and Cabernet Franc creating a red wine that is heavy in the glass (14% alcoholl) with nose and taste of red fruits, tobacco and oak. Cheers to a giggle with your glass!